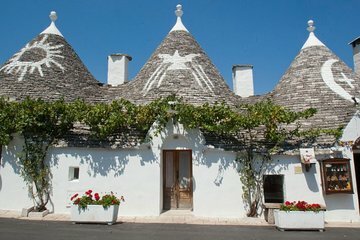 The town of Alberobello is home to one of the most important monuments of southern Italy. This city of has earned UNESCO World Heritage status thanks to its traditional triangular trulli houses, narrow streets, and ancient church of St. Anthony. This walking tour leads you through the town’s major sites with the help of a local guide. We spent a very enjoyable time with our guide. He gave us a history of the area and of the town. After the tour, we spent time walking on our own.